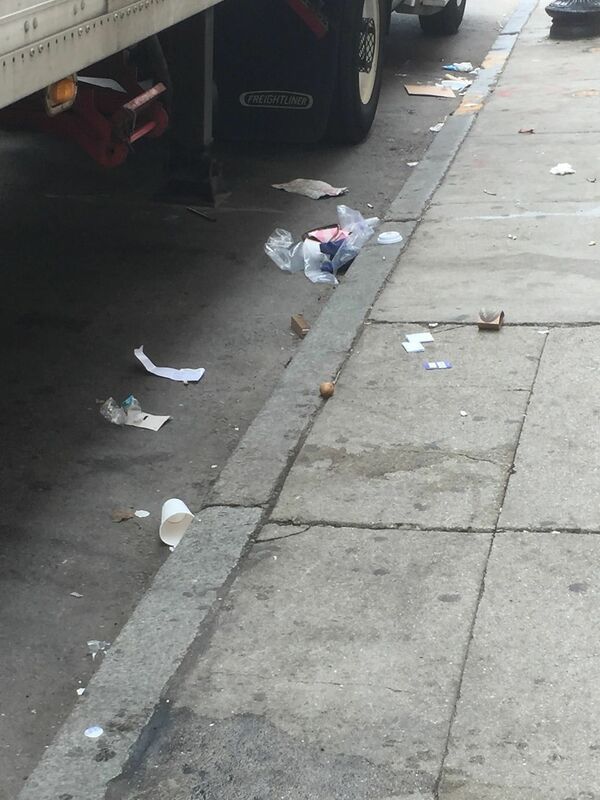 Trash found on Hanover Street after a garbage pick up was completed. 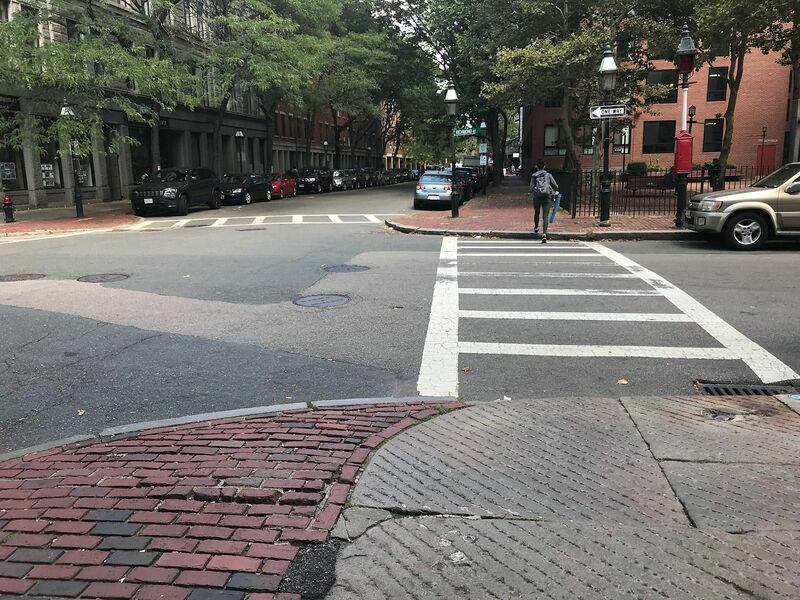 A 311 user suggests that a ramp is needed at this crosswalk. The original 311 post can be found here. The case was submitted and opened on September 7th, 2018. The case is still open as of September 12th, 2018. 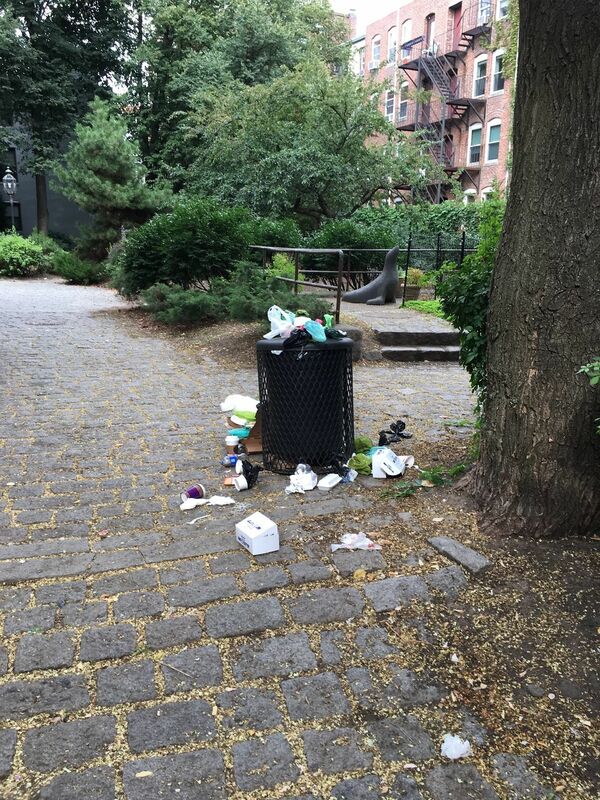 Trash can clearly overflowing at Charter Park.